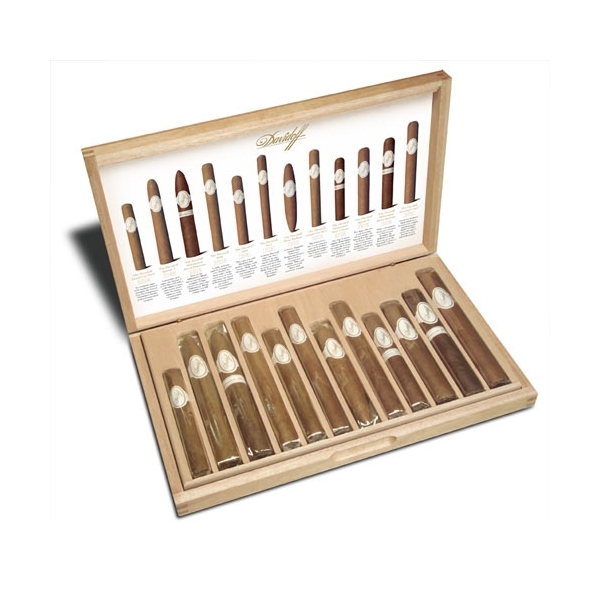 The Davidoff 12 Cigar Assortment contains the broadest and most complete selection of Davidoff cigars. The Davidoff 12 Cigar Assortment features our most sought after blends and shapes. The larger number of cigars featured allows the cigar smoker to really understand and enjoy the complexity of a Davidoff cigar. Inside the box are a series of detailed tasing notes for each cigar along with a rating of strength. This is a perfect gift!